Happy Thursday! 🙂 Can you believe that it’s already almost the weekend again?! Valentine’s Day is in just a few weeks now, and I have honestly really been enjoying sharing everything that’s pink and has hearts! I’ve also been shopping more on Amazon, so I want to share a bunch of casual + cozy Valentine’s Day finds available with Amazon Prime! 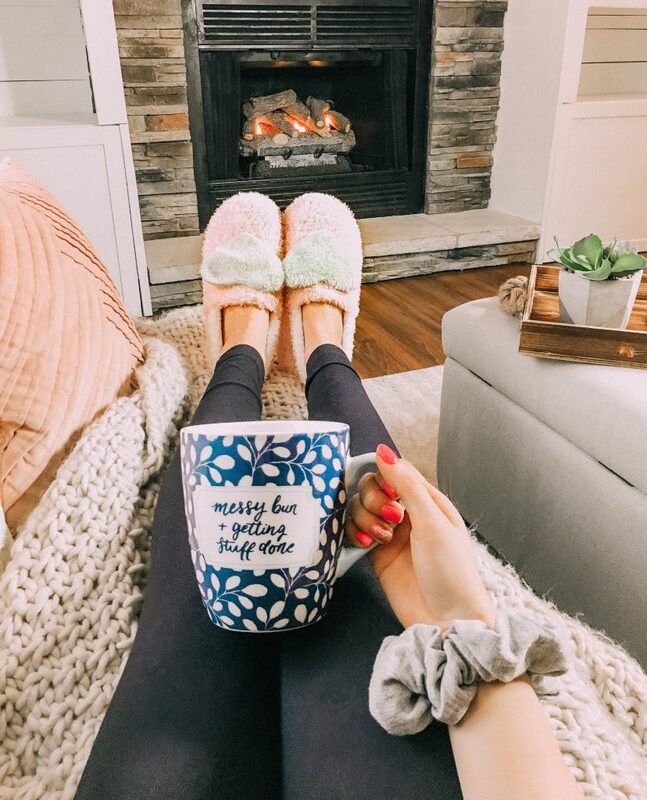 It has been freezing here, so I definitely still have all things cozy and warm on my mind! It was so cold and snowy when I took Lana to school this morning. She loved it, of course! She has been doing so well at school, and I am really proud of her. 🙂 It was so cute this morning when she had me wait in the other room while she brushed her teeth “by herself”. She’s definitely getting the little Miss Independent attitude from me. Shop My Valentine’s Day Finds Below! Do you all have any plans for Valentine’s Day this year? Also, would you rather get flowers or chocolate (or neither)? I’m definitely all about the chocolate! My favorite flowers are peonies (they aren’t in season yet), so I’m never upset if I don’t get flowers. Plus, we have a cat who will always try to knock over the vase (cat Mom probs). This entry was posted in Fashion and tagged casual Valentine's Day outfit, heart slippers, Valentine's Day cardigan, Valentine's Day cardigans, Valentine's Day outfit, Valentine's Day outfits, Valentine's Day sweater, Valentine's Day sweaters, Valentine's Day tops.